If you didn't found answer please click the button above to fill the request form. We will answer you asap. 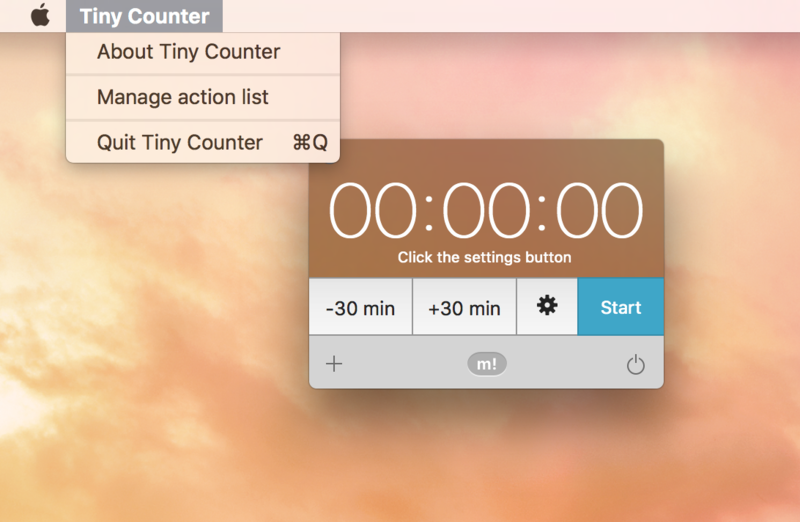 Tiny Counter app is a great tool for setting a timer for any notifications. 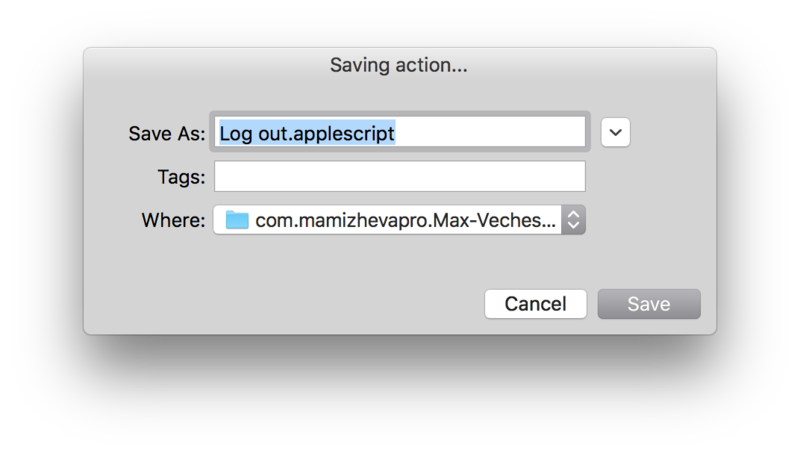 But the power of the app is in running any AppleScript. 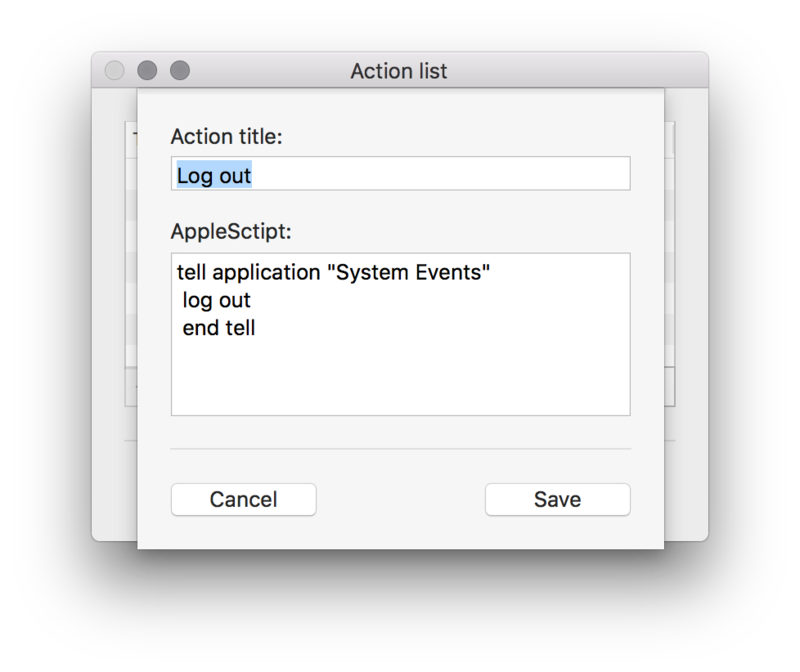 With the Action list window you can manage all actions in your app. You can make a flexible tune of the Tiny Counter for the best usage. 5. Done! 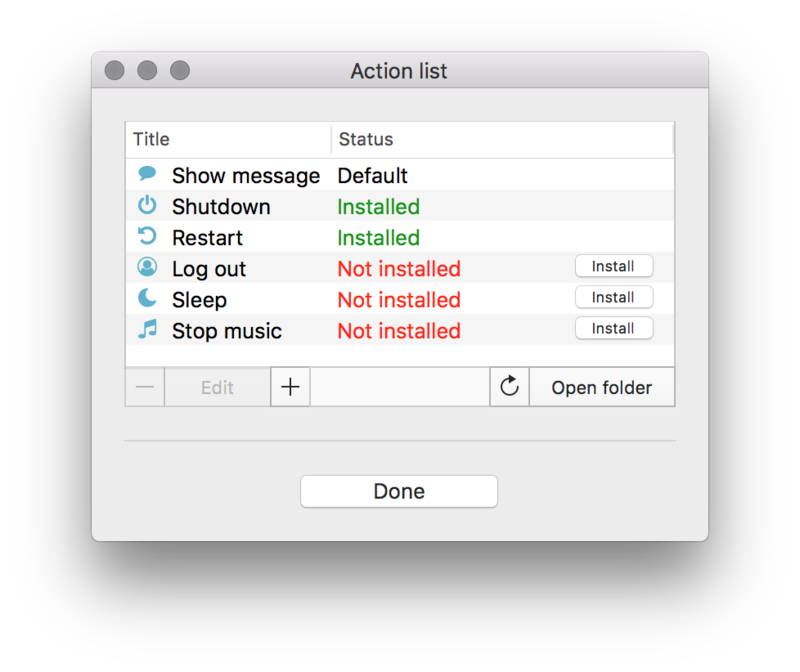 Now the action status should be changed to Installed, and you can select it in the Timerik settings window.